I just had the awesome opportunity to sail on Fathom Adonia's 12th voyage to Cuba and it was EVERYTHING! Cuba has been on my bucket list for years so when the travel restrictions were loosened a little and more flights approved I got really excited. The number of familiar tour companies offering group options increased immediately, so I just knew I'd be hopping a flight to Havana soon. Enter Fathom cruises. Once I heard there would be a round trip cruise from Miami offered that moved to the top of the list. The ship exceeded my expectations, the food was way better than some of the reviews made me believe and Cuba is an enigma wrapped up in a riddle that defies explanation. Oh and of course we set sail the week Hurricane Matthew pops up! So now I can truly speak from personal experience when I say 'Don't worry, the cruise line will take care of you!" There is so much to unpack in this voyage I'll break it up into posts about the ship itself, the ports, cars, architecture and the arts. First, yes I was super anxious (read: scared shitless, but determined) about flying to Miami knowing a major hurricane was brewing. I hadn't heard from the cruise line so i called to make sure nothing was cancelled before leaving home. (See that's where your friendly travel professional comes in. You don't want to be responsible for keeping up with the weather, making alternate plans and communicating with the company when you're freaking out a little) when I arrived at the port I got a letter from the captain and the agent siad 'The weather's great!' When he saw my puzzled face, like dude have you been alive this week? he said 'Oh it's been downgraded to ONLY a category 4!" alrighty then, that tells you something about the attitude of the crew here. Forever upbeat! It was an absolutely perfect day to be honest. We waited in line for about 20 minutes after being handed a group letter and off we went to board the ship. My stateroom was ready when I boarded, so I put my stuff down and went to eat and explore. First impressions of the ship were that it was welcoming and comfortable British style. There are plenty of comfy nooks to chill in, swings on the pool deck and unique Fathom touches here and there. Although the ship was nearly full, it NEVER felt crowded. I didn't even learn it was full till mid week, but never saw lines, hunted for tables or scrapped for lounge chairs at pool. Adonia is intimate without feeling like you're staring at the same people everyday...just the right size. You can walk the ship and not silently curse the hike if you have to run back to your room for something. (My last cruise was on Royal Caribbean, so I am comparing those behemoth size vessels.) You also don't feel like you're still constantly being sold something. The servers hang back or will ask once if you need something. The crew won't hound you for drinks or photos or the SPA etc. Though all of these services are top quality. The shops onboard focus on fair-trade, organic and natural items to match the them of impact travel. The room toiletries are fair-trade, the wine is organic and vegan in the Glass House wine bar. Before the hurricane this was my big source of anxiety. I read several negative reviews about the food quality, but dinners always had several great options. Our serves were attentive and would readily change something out if you ended up with a dish you didn't care for. Tasty vegetarian options are offered everyday at dinner. Real inspired dishes, not just steamed veggies and black bean burger options. Dinner is open seating, but we found a server team we loved so much we asked for their table 5 out of 7 nights. So we got the best of both worlds...a server who got to know our dining habits and no time restrictions with a casual dress code. On the days we were in port lunch was included at local restaurants or family owned 'paladores'. It helped the short time on buses still feel like cultural immersion because we ate in small groups at different places. We'd compare notes on the ship later about the different restaurants. The first day I had La Bodeguito de Medio, one of Ernest Hemmingway's favorite spots for mojitos. The crew is fantastic. Cruise director staff is replaced with 'Impact Guides' who lead seminars and activities around the ship as well as accompany groups on the included tours ashore. Many of them have worked in the peace corps or with non-profit orgs prior to joining Fathom. Just talking to them was fascinating. Everyone had a unique story from working in rural villages without running water to assisting with medical care in war torn countries. They are dedicated to helping us do our part to make a positive difference in the places we visit. That does not take away from their professionalism, however. I witnessed one held hostage by an old lady complaining about the tour we were on and she handled it with grace. (The woman actually hadn't read the day's itinerary and thought we were going to an art museum on the day we went to a co-op in a rural area) . Now this isn't the ship for you if you're looking for full scale production shows, bingo, belly flop contests and casinos. That doesn't mean you'll be bored. I brought 4 books just in case, but didn't even get through one of them. There are unique activities like sound bath meditation, storytelling seminars and street photography, along with typical ones like salsa lessons, movies. A few movies were Cuban themed, like The Old Man and the Sea. The talks offered before each port were so helpful. I learned some new history and valuable tips for navigating the city. In the pre-20th century Cuban history talk I learned more than I ever did in school about Cuba. The Craze Band played an amazingly diverse array of music by the pool and in lounges at night. The lead singer sounds like a cross between Adele and Duffy to me. They could play Beyonce and John Lennon equally well. Half of the week Cubason played Latin music also. They did several old favorites and mixed a little reggaeton in there too. Both bands were super talented. I have to give major props to the Captain. Once we were on board he communicated our status regularly and kept us pretty steady the whole week. We had to skip Santiago de Cuba and double back to Havana due to Hurricane Matthew, but I applaud the way it was handled. Once we got back to Havana, another tour was flawlessly executed as if it had been planned all along (when they really had 2 days to pull together and activity for 700 people!). One night when it got a little wavy the captain had already warned us we'd be going a little faster to get into port at Cienfuegos earlier to avoid bad weather. Still it wasn't as bad as I anticipated. It actually just rocked me to sleep. Now if they're talented enough sailors to pull that off during a major hurricane I'm sure your average sailing will be super smooth. Overall I truly enjoyed the ship and the itinerary. I would recommend it without hesitation and plan to sail again to experience the Dominican Republic impact activities. Fathom is really trying to do something unique, being a mix of a traditional luxury cruise experience and cultural immersion or voluntourism. Usually those are separate trips. I hope people really understand the difference and give it a chance. Most of the bad reviews seem to be from people not really understanding the product. If you've got questions give me a shout. I'd love to share more. More posts coming soon on Cuba itself. Do you want to be sipping tangy frozen cocktails overlooking a glittering endless pool that seemingly disappears into the turquoise waters of the Caribbean sea within 3 hours of leaving Atlanta? Secrets Silversands Riviera Cancun is a great choice for an adults only getaway. The close proximity to the Cancun airport allows couples and groups a quick transfer to be on the beach in no time, yet away from the congestion of the hotel zone. 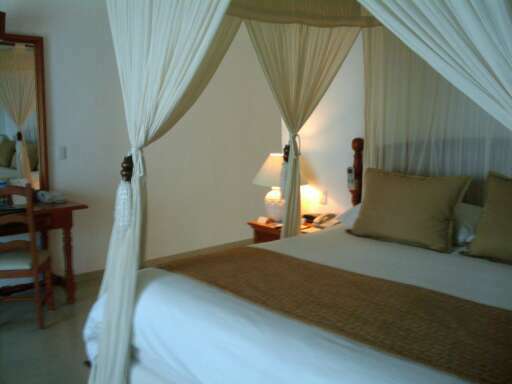 The rooms are large, luxurious and private. Secrets Silversands has a reputation for being one of the more lively adult all-inclusive resorts so it is a perfect choice for groups and girlfriend getaways. You won't hear kids, but you also won't be the only ones not coupled up. Another great selling point of Secrets Silversands Riviera Cancun is the availability of American brands. If you're new to international travel AM Resorts (the company behind Secrets, Dreams and Sunscape resorts) offer an excellent way to get your feet wet. As an American owned company, they offer familiar brands in the restaurants and bars just in case you're not ready to jump all the way in to local cuisine just yet. But don't think that means bland buffet food. There are 10 choices for food ranging from the pool snack bar grill to gourmet French cuisine or Asian Hibachi. There's also no reservations or wristbands to make you feel like you feel like this is is your old spring break hotel. At the six different bars you'll find creative drinks of the day, premium liquors for your old standbys and creative bartenders to whip up a delicious non-alcoholic concoction for the non drinkers. In the massive SPA, enjoy hydrotherapy in a serene environment before your chosen treatment. If you download their app, you'll enjoy free WIFI and international calls to keep in touch with home while waiting on the pool servers to bring your next round. One trip and you'll wonder why you ever wasted all that time driving to Florida. At my son's request (actually a year of begging) we took a Disney cruise for a 3 day weekend getaway. I knew he would love it, but my expectations were low for us adults. We're not mouse maniacs and I don't even really like animated movies at all. Since we had not had a vacation where neither of us were working in a long time I was also not too happy about spending it on a Disney ship. Fortunately, the experience really blew me away and we will be returning. The kids club, Oceaneer Lab and Oceaneer club is undeniably amazing. It is huge with so many things to do that all the kids seemed engaged and happy every time we looked. Automatic hand washers are just the coolest things ever to me. I am definitely the 'wash your hands lady'. They are open until 12 or 1 a.m. so parents have plenty of time to hit the entertainment district bars & lounges. The staterooms - the split bathroom concept is a lifesaver. We also had one of the best stateroom attendants ever on this cruise. We didn't see her much but our room was always ship shape. Just the way I like it! I like to sleep late on vaca and hate the ones who are making noise and knocking early to hurry up and get their work over with. The food - I have had feedback from others that the food was not as good as they expected. This is such a subjective topic, but I thought the food was great. There is a wide variety of freshly prepared food at the buffet, including fresh seafood. Dinner menus had real food for the kids, not just chicken and fries every night. 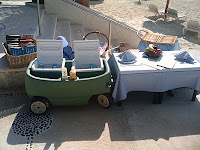 Of course the typical things were there like Mickey pasta, but there was always a selection of fresh fruits, vegetables and soup for the kids. Even if you have a picky eater like mine it's a great time to try new things. The shows - of course the shows are awesome! Even though Disney themed, there was plenty of comedy and adult innuendo (nothing objectionable) to keep us entertained. They brought back some memories of Disney movies I'd forgotten about. The diverse singers and actors are incredibly talented as expected. Other entertainment includes first run movies, deck theme parties and live music. My hubby got to see Thor: The Dark World on the ship so he was sold the first night. We also watched the classic Jungle Book on Funnel vision together lounging by the pool (tropical drink in hand of course for me) one afternoon. My son had never seen this or Mary Poppins so it was fun to talk about the movies I watched as a kid. Castaway Cay - Having the kids club on the private island is great. We had time to play together at the family beach, eat a delicious BBQ lunch, then my son was ready to go play with his new friends while we headed to the adults-only Serenity Bay. It was quiet (except for the moron at the bar who wanted to loudly talk about politics and his miserable life) and relaxing given that the little one was safe and having fun. The wave phones also help squash the anxiety of nervous parents. They work (even text!) all over the ship and Castaway Cay, so you can keep in touch with each other or call the kid's club to check on your babes. The dining hours - too short. I saw many people walking away from the buffet mad. That should never happen on a cruise in my opinion. Though the grill is open, who wants to fill up on pizza and burgers on vacation? Only traditional dining - I missed Norwegian's freestyle dining. We were getting hungry between meals and it made for a cranky boy by 8:15. Assigned table mates can also be hit or miss. We're about 50/50 on great ones and others that make us want to skip dinner. Debarkation procedures - nobody likes to leave the ship but their policy of assigned breakfast restaurants and no set groups left long lines. I definitely felt they were ready to kick us off and disengaged the morning of. On the way to breakfast a crew member pointed to the gangway and said 'debarkation is that way!'. Now if everyone is supposed to eat at the same time and we're headed to a restaurant, posting someone in the way to point you off the ship is a clear message that I don't like having as one of my last memories. After eating, still standing in line for a very long time to get off made me wish for the colored luggage tag groups some other lines use. There would still be lines, but you just didn't feel as rushed to hurry up and wait. So it looks like my cons revolve around food...LOL what a surprise! Overall it was a really fun trip. Disney Dream definitely beats any other short Bahamas cruise out there. For 7 days, I'd still give some other lines the edge in value. 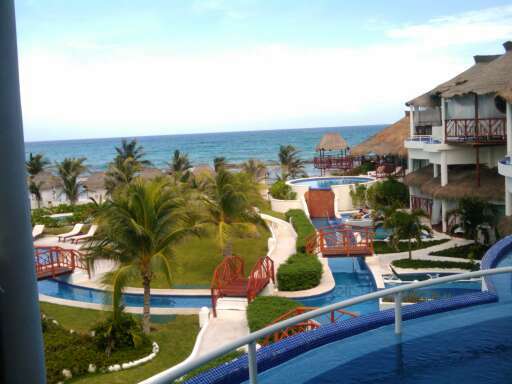 El Dorado Maroma is what I'd picture for a perfect 'just the two of us' romantic getaway. 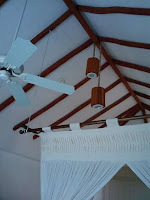 The boutique property has just 72 suites. In the Mi Hotelito section the wood floors on the balcony and outside hallway make you feel as though you're in a treehouse on the beach. The other section has larger rooms with Jacuzzis and outdoor showers. As I walked around the property everyone seemed to know each other and look so relaxed. The resort's small size still houses a spa, 3 restaurants and 3 bars so you're not missing out on a single luxury.Marina Maroma is next door with lots of watersports and boating excursions so you're right there where others have to take a shuttle to reach. Maroma was also voted one of the top 10 beaches by Travel Channel. Yes, I took my shoes off to test it and it was powdery soft =) The property also has an on-site chapel for weddings. Children are allowed to attend weddings there, but only those 16 and up can stay overnight or attend the reception. The next step up in terms of size is Seaside Suites. The property is located south of Playa del Carmen. Although this one is adults only too, there are more groups that are not necessarily couples. The Italian restaurant is bright and airy and has a good house wine selection along with extensive upgraded choices to purchase. The Mexican restaurant offers nightly tequila tastings at the bar. The swim up suites are set among lush landscape for a reaxing nap on the patio. For an extra special treat, the Presidentail Suite offers a living room with stocked wet bar, personal snorkel equipment, plunge pool and sky palapa for massages and candlelit dinners. Wow! There are several great locations for weddings from a picturesque gazebo to pier on the sea. I met a couple from Georgia that said this was their 5th trip to Seaside Suites! They said "no one will be mad if you send them here!" My tour guide promised they were not plants =) I knew they weren't because they were actually eavesdropping on our lunch conversation and asked me later if I was a travel agent. Just like a southerner to politely ask about something they overheard you say! 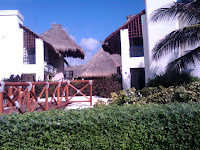 Although El Dorado Royale is very popular, I happened to like Maroma and Seaside Suites the best. Each property features inspired cuising, impeccable service and ambiance, but they are all very different. Working closely with your trusty Gourmet Included Vacation Consultant (me of course) will help narrow your choices to create the honeymoon or anniversary of your dreams.....or hey just make it a suprise 'just because' getaway. My poor neglected blog! I'm a firm believer that you shouldn't rattle on to fill space if you have nothing of substance to say. Does anybody else get sick of reading fluff published just to say a blog is updated frequently? It really turns me off. I just returned from a week in Riviera Maya with my family to see the Azul and El Dorado Resorts and get some much needed r&r. Even Hurricane Alex didn't spoil our vacation. We did have lots of rain, but still enjoyed the trip tremendously. My poor family had to stay at the Azul Sensatori all day playing while I walked till I got blisters touring resorts. The things I do for you people! Obviously I'm joking, I love my job and there's no where else I'd rather be forming blisters than Riviera Maya. There will be lots of pictures on Facebook, plus a short review of each here. Overall, I was impressed with each resort. With most hotel collections there's always one room category or particular hotel where I'm left thinking 'I'd never send anybody there, hope no one asks for it." I honestly did not feel that way about either of these. I can't wait to go back sans kid to try one of adults-only properties. Karisma Resorts family oriented brand Azul has two properties close to each other just 20 minutes south of the Cancun airport. Azul Beach is the boutique style property with just 98 rooms, perfect for families with small kids. The intimate size of the hotel still packs in a great variety of restaurants and bars. I tried my first "mosq uito" here and I'm hooked! An all-lobster menu at Blue and Mexican cuisine overlooking the sea at Chil plus Asian at Tainan means you're not sacrificing great food for a kid-friendly vacation. There's also La Mancha for healthy snacks and fresh smoothies. The star of the bar scene is Agavero Tequila Lounge, where over 30 varieties of tequila are served in an old 1800's cantina vibe complete with dark walls, red velvet banquettes and frozen bar top. 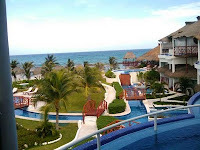 Azul Sensatori - We stayed here the entire week, so I can tell you this hotel is fabulous for kids! The Azulitos kids club here is the best equipped I have ever seen. It looks just like the pictures from their brochure. (rare) The place is always immaculate and everyone there is so friendly. Now, I saw some kids that definitely would have tried my patience, but the ladies there always kept a smile and handled them beautifully. That takes some very special people! There was always an activity going on, but interestingly enough just a few families seemed to participate. It never felt crowded and the kids were always busy with some activity if they wanted. You can also take toys from the lending library here. That xylophone in the pic followed us everywhere. The children's pool is just outside Azulitos with a mini slide and splash area. Even the bathrooms beside the pool were always spotless! I thought that was impossible. 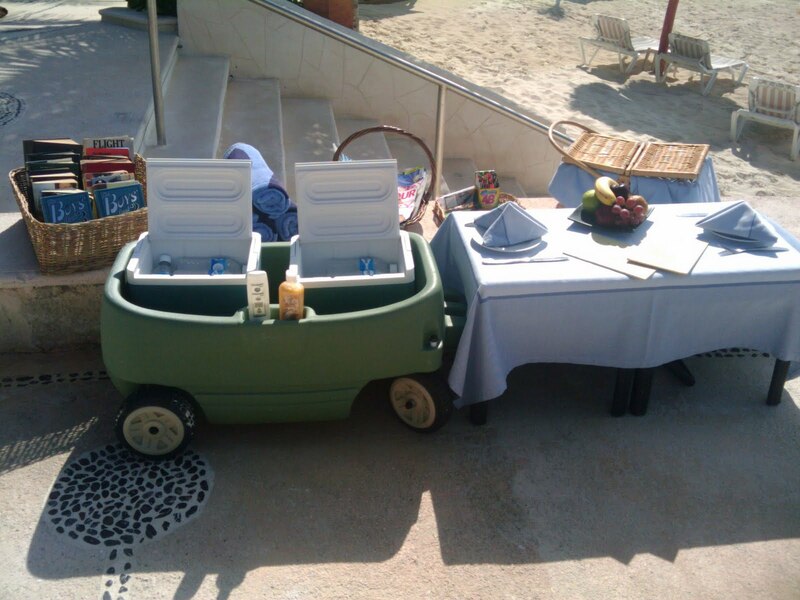 Don't get the impression that Azul Sensatori is a kids free- for-all though. There is an adults only pool and bar. The family pool and children's facilities are tucked away on the side of the resort so it doesn't feel like you're at Disney on the beach. I was actually concerned when we first got there that I didn't see that many kids or hear any screaming, thinking "uh-oh my wild one is gonna be out of place here!" Even at over 90% occupancy the resort is so well laid out that it did not feel like the entire place was a playground. The adults-only restaurant Le Chique, was definitely an unforgettable experience . Familiar dishes are re-interpreted with different textures over a 12 course dinner. The pic to the left is shrimp cocktail. This was the only night we left the little one in Azulitos and almost forgot to pick him up! He was quite upset about being the last kid there, but excited about the movie and popcorn he got while we were gone. The shows each night were always kid-friendly with an 'after-party' in the Mojito Bar for adults. I loved the Mayan show! The Micheal Jackson show was definitely better than Chris Brown's little tribute at the BET awards. I think a few guests were confused because they seem so excited to get the performer's autograph and picture after the show. Maybe it was the tequila...The Mojito Bar has over 30 different Mojito flavors and I did my best to sample them for this review. The servers around the show area remembered which ones I'd already had and suggested new ones. Amazing, with the number of people they were keeping up with. The staff at Azul truly shines in the service arena. Just about everyone we passed offered up a friendly 'Hola!' all day and night. (Yes even the room service waiter at 2 a.m. was friendly) ...and not in a fake forced way. Side note: It really helps if you at least attempt some basic Spanish. Everyone here spoke English and it is not required, but it really helps you not look like a snobby American to try =) Here's where my time in Miami helped out again. 5 years of Cuban Spanglish enabled us to communicate pretty well with everyone and get some good practice. We surprised a few people when we understood their conversations and luckily didn't catch anyone talking about us. (Wish I could do that at the nail shop) A few days in my son was responding to simple questions in Spanish and counting everything in sight. How long would that take in a class?